Sure, Dancing With the Stars is a dance competition show, but we all know why we’re really addicted to the series. It’s not the flashing lights, the elaborate costumes or the hot dance numbers, either. Hell, even though we love juicy celeb relationship gossip, it’s not even the hook-ups on the show that keeps us coming back season after season. It’s the feuds. Dancing With the Stars is rife with beefs. When the celebs and dance pros exit the dance floor, the smiles fade and the gloves come off. And we are so here for it. Some fights have occurred on camera and some happen behind the scenes, but no matter what, DWTS always delivers delicious drama. Here’s what we know about some of the biggest feuds in Dancing with the Stars history. Multiple tabloids have reported that Season 25 partners Maks Chmerkovskiy and Vanessa Lachey are “miserable” dancing together. The gossip is coming from the infamous “inside source,” so we don’t know how much of this rumor is true — but Chmerkovskiy did sit out an episode of the competition, presumably because he just didn’t want to be around Lachey. 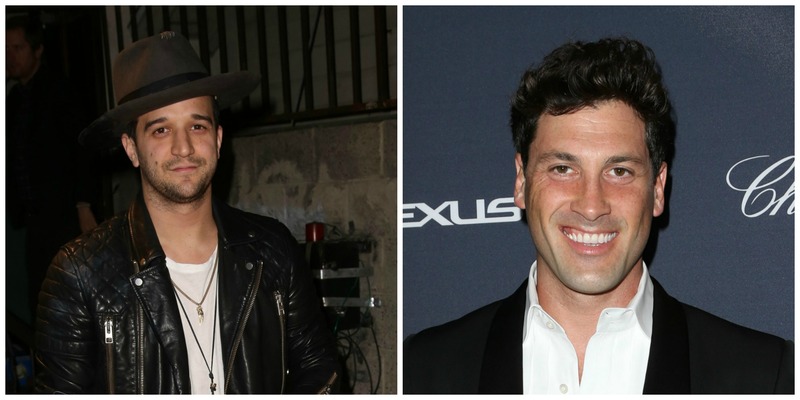 After ditching his partner, Chmerkovskiy offered an apology. Judges Julianne Hough and Carrie Ann Inaba allegedly went head-to-head in Season 23. Reportedly, Inaba was jealous of the attention Hough got on the judges’ panel. If the rumor is true, it seems like it was low-level eye-rolling and diva behavior from both sides. Season 23 was full of rumors. It was also reported that hosts Tom Bergeron and Erin Andrews didn’t get along. Bergeron was supposedly upset that Andrews needed more prep time during commercial breaks and that the duo rarely communicated outside of their time on camera. Since both are broadcasting pros, we are putting the kibosh on this silly nonsense. In Season 23, there were some hurt feelings over Julianne Hough’s comments about Amber Rose’s salsa dance. Hough commented about a move that made her feel uncomfortable. Rose believed that Hough was body-shaming her, but that’s not what the comment was about. Hough was able to explain her comment more clearly the following week. The women hugged it out and the feud ended immediately. This is probably one of the ugliest partnerships in DWTS history. 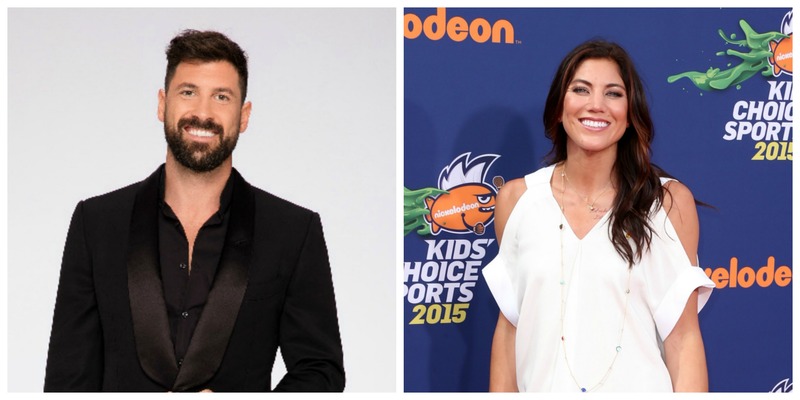 Maks Chmerkovskiy was partnered with USA soccer player Hope Solo during Season 13. While they managed to come in a respectable fourth place, it’s what happened after the season ended that started a war. In her 2012 memoir, Solo: A Memoir of Hope, Hope Solo accused Chmerkovskiy of hitting her during rehearsals. “He wanted my head in a specific position. To achieve that, he slapped me across the face. Hard,” she wrote. Solo has found herself in numerous physical altercations and an arrest since her days on DWTS. Nyle DiMarco was a self-assured contestant throughout Season 22. 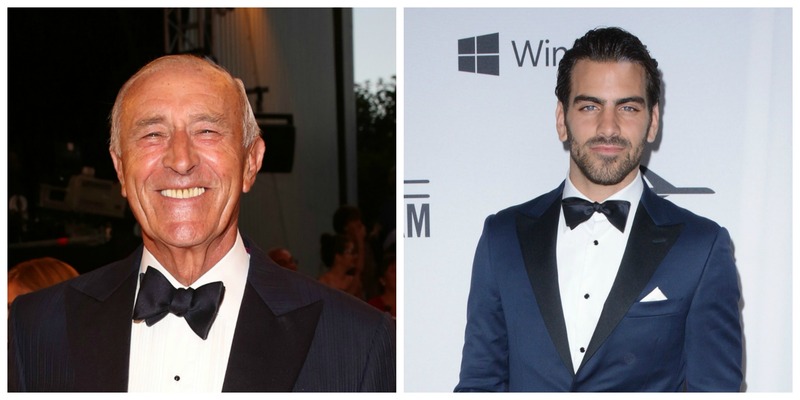 However, he did get a tongue lashing from judge Len Goodman midway through the season because his confidence took an arrogant turn. DiMarco didn’t think he had much competition amongst his fellow celebrities and claimed that pro Val Chmerkovskiy was his biggest threat on the dance floor. Some people took his comment as a joke, but it rubbed Goodman the wrong way. “You’re a good dancer, but don’t start saying you’re as good as Val because you’ll just annoy people,” he chastised DiMarco. DiMarco took the comment well and didn’t let it get him down, however, because the mirror ball trophy went home with him that season. This DWTS feud didn’t rear its ugly head until after Kirstie Alley had completed two seasons of the ABC show with Maks Chmerkovskiy. Chmerkovskiy struck up a friendship with former Scientologist Leah Remini after she left the church. Since Alley was also a Scientologist, she was not allowed to interact with anyone who has left the religion, so Alley considered Chemerkovskiy’s friendship with her former friend a true betrayal. Chmerkovskiy talked about the Scientology issue with Us Weekly in September. “A note was sent to a friend telling me I was ‘disconnected,’ as in, I am no longer allowed to be Kirstie’s friend. I find it ridiculous for an adult human being to ‘disconnect’ from someone. But everyone is entitled to their own insanity,” he said. 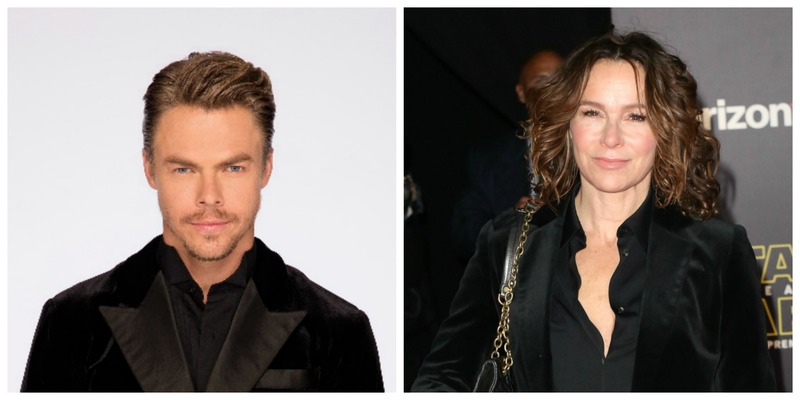 Derek Hough is usually calm and collected with his partners, but during Season 11, he did get frustrated with Jennifer Grey while rehearsing their foxtrot. Grey complained that he was losing his temper with her when she couldn’t master a dance step. Grey took a walk, and Hough had the cameras shut off. It was only a temporary spat, though. The couple went on to win the mirror ball trophy that season. During team dances on Season 14 of DWTS, Maks Chmerkovskiy got into hot water again by running his mouth without thinking. The men on his team took off their shirts during the routine and still lost to the other team, whose men kept their shirts on. Chmerkovskiy bragged that his team would win in an abdominal competition, though. Ballas and his partner, Katherine Jenkins, had the final word by coming in second place that season. Chmerkovskiy came in fifth place with partner Melissa Gilbert. Kate Gosselin’s reputation certainly wasn’t helped by her Season 10 appearance on DWTS. Tony Dovolani, who is known for his patience in the rehearsal studio, was undermined as a teacher by Gosselin’s testy words. “I am a ballroom champion. I have taught ballroom champions. I teach teachers how to teach ballroom champions, and you are telling me I don’t know how to teach? I quit,” Dovolani said during rehearsal. While he eventually came back, their relationship on the show never recovered, and they came in 10th place. While things seem relatively smooth between Derek Hough and Val and Maks Chmerkovskiy in 2016, things weren’t always so peaceful. Back in 2011, Maks lashed out at Derek on Good Morning America after talking back to the judges for specific critiques on his dance with Hope Solo. Derek sided with the judges, and Maks sure didn’t like that. Derek and Val have also had a few ongoing beefs that seem to crop up on Twitter with the two guys subtweeting each other. The DWTS fans go nuts interpreting what they mean, which only fuels the frenzy over who is the best pro on the show. The incident that occurred between Jaleel White and pro Kym Johnson is something of DWTS legend because the video has never been released. White allegedly stepped on Johnson’s foot during practice and then got angry at her for her reaction to the pain. 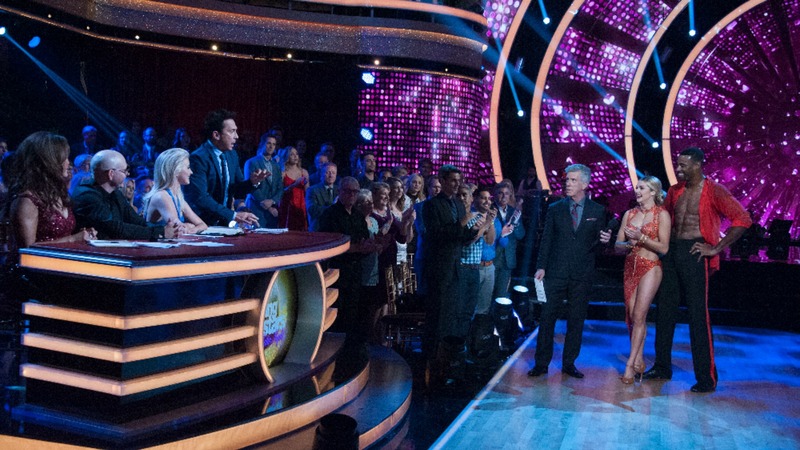 Season 14 contestant Donald Driver and pro Mark Ballas stepped in to calm him down. During Season 10 of DWTS, Erin Andrews and Maks Chmerkovskiy were the Lucy and Ricky Ricardo of the ballroom — they would fight and then make up like nothing happened. Their bickering did take a heavier turn during Week 5, when Chmerkovskiy wanted Andrews to focus more during rehearsals — it was his way or the highway. He was frustrated when she asked questions, and when she had a complaint about her ballroom shoes, sparks and her shoe began to fly. Andrews threw one of her heels at her partner. The rest of the season went rather smoothly because they came in third place and fielded a lot of questions about their dating status, which they never admitted publicly.